The organizational transformation process can be sustained virtually indefinitely by encouraging innovation throughout the organization. Ideally, organizations can benefit from a permanent inflow of fresh perspectives and ideas that lead to new and improved products and services. 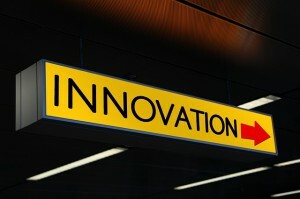 Without innovation, it may be hard if not impossible to sustain any business for very long. Wynett (2002) states six different recommendations to foster innovation that can be applied in most industry sectors. First, it is important to openly encourage every individual to experiment on the job. By experimenting, the workforce invests a reasonable amount of resources, such as work time and materials, to come up with improvements or even completely new suggestions. It is important for companies not to fear such investments and not perceive them as a waste. Wynett also points out that prior to such experimentation all employees need to mentally accept that the current way they work may simply not be the best. This idea needs to be deeply ingrained in the people’s mindset before any real and effective experimentation can take place. The underlying principle here is borrowed from quality management—continuous improvement—and it forms the basis for innovative and creative thinking. Moreover, timing is also very essential. Innovation efforts should take place all the time but especially when the company is doing well and has the resources it needs to invest. Finally, Wynett suggest hiring outsiders to bring in fresh perspectives and not to forget to reward individuals who enrich the company with good ideas and new, revolutionary suggestions. Kotter (1996) suggests that transformation can be sustained best when most managerial and leadership responsibilities are delegated to the workforce. The workforce works best under minimum control and supervision and hence all unnecessary interdependencies should be eliminated. Employees should be empowered to take action when they feel the timing is right without lengthy, bureaucratic processes to seek permission first. Organizations need to quickly adapt to changing demands and focus on the outside rather than on the inside of their organization. Employee empowerment is also necessary to speed up the general decision making process. Kotter further suggests ensuring the employees become more risk tolerant and willing to take a chance for the sake of advancing the company. The fear of failure needs to be managed and slowly minimized. In a similar approach, Bridges (2003) suggests to foster innovation by reducing anxiety and providing training for individual weaknesses. Often employees might resist solving a problem and try to circumvent rather than solving it because of a weak skill set; hence, by providing the training necessary such behavior can hopefully be prevented. Anxiety and fear are also major hurdles for innovation. During transition periods productivity expectations should be lowered to control anxiety and encourage experimentation. Once the momentum has been built up and the mindset has been changed, the company should capitalize on it by changing inefficient processes throughout the company. Gray (2005) focused on how to build such momentum. He suggests that inertia can be overcome by crossing these obstacles: perception, resources, motivation, and politics. First, the perception of the workforce needs to be altered: the followers need a vision to follow. Then, resources need to be provided as needed to support the new vision and innovation process. Gray suggests that motivation is best handled by finding the local opinion leaders of each department and influencing them to buy into the new vision. The rest of the workforce will then automatically follow that course. Finally, the political hurdle, which is probably the worst one to handle, is mostly rooted in power pockets throughout the organization, mostly by people who are happy with the status quo and are thus the most resistant ones. One possible route to take to break such power pockets is to split teams up and regularly reassign roles. De Holan and Phillips (2002) found that continuous change, as it is needed for an innovative organization, is usually made possible by a charismatic leader at the top who can motivate the workforce and whom the employees respect. Furthermore, the organizational culture is the next fundamental enabler for continuous innovation. Employees need to be listened to, helped, and taken care of. The culture of an organization has to be such that employees can voice their problems openly and receive the help to solve their issues promptly. Their feedback needs to be sought for and valued; thus, employees need to be respected and actively engaged in the daily business and decision making process. A bureaucratic and hierarchical organization with little regard for individual needs and perspectives has therefore a very low probability of becoming innovative. The key to sustaining organization transformation is to increase the autonomy of all employees and develop a strong commitment to the company. Pullen (1993) has a more unorthodox suggestion to revive innovative behavior within organizations. Pullen suggests to intentionally and strategically “shock” the organization. He also sees that high levels of commitment are needed to keep transition levels short. Similar to Bridges (2003) he recommends to complement the new organizational vision with the skills required at each level to ensure there is no resistance to new ideas due to lack of skills. Because rigid organizations suffer more in the long-term, managers need to predict where the “break points” are in the organization and then intentionally shock exactly those at a convenient time by changing the organizational environment. The above authors have mainly one common theme of suggestions. In order to sustain innovation and transformation, organizations need to be made flat, lean, and flexible, so that they can adapt quickly to environmental changes. To achieve this, it takes experimentation and great respect for the workforce, combined with greater worker autonomy and continuous training and improvement. De Holan, P. M., Phillips, N. (2002). Managing in transition: A case study of institutional management and organizational change. Journal of Management Inquiry, 11, 68-84. Gray, S. N. (2005). Tipping Points: Building Momentum for Lasting Change. Organization Development Journal, 23, 71-78. Kotter, J. P. (1996). Leading Change. Harvard Business Scholl Press. Pullen, W. (1993). Strategic shocks: Managing discontinuous change. The International Journal of Public Sector Management, 1, 30-40. Wynett, C. (2002). Inspiring Innovation. Harvard Business Review, 80, 39-49. As an example of how innovative software can be, check my post describing Hyper V backup.